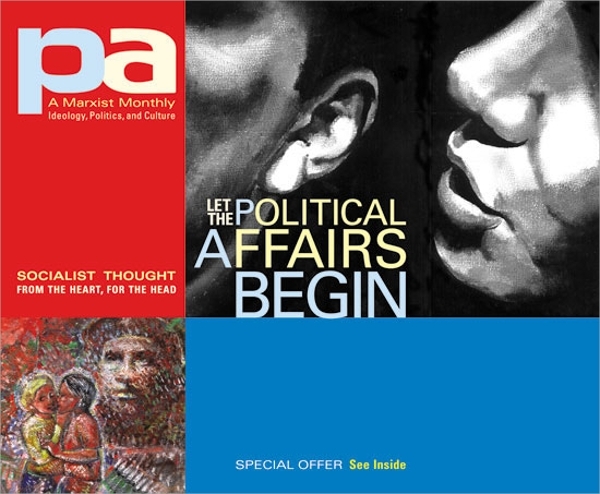 This is a purely sophisticated design which emphasizes on the party’s logo and symbols, and then on gala information about works, projects, motto etc. 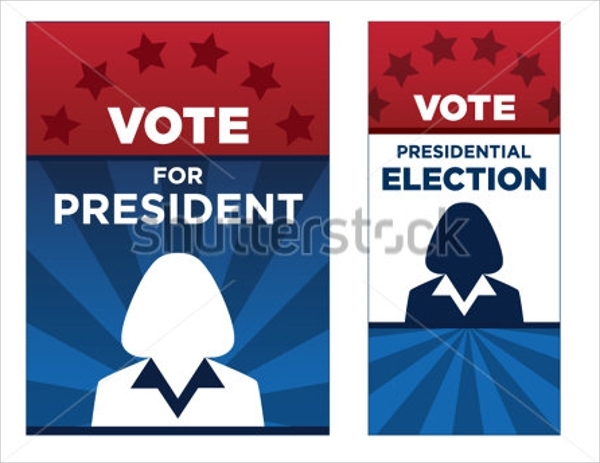 No pictures or images other than party logo and symbols are used here. This template has a special 3D look. The style is smart and precise. You will see the picture of the candidate and below some quick information about a gathering etc, which is the smart and small format in one single long and sleek page. The color used is blue and grey. You get various color schemes and styles on the same design and layout. Change the bright background color into any of your choice, and use your image on it, to make it smart and compact. This is more of a pictorial representation with little textual elements, so that you may show off your work in style with pictures. This form is catchy and the pictures speak a lot boldly. 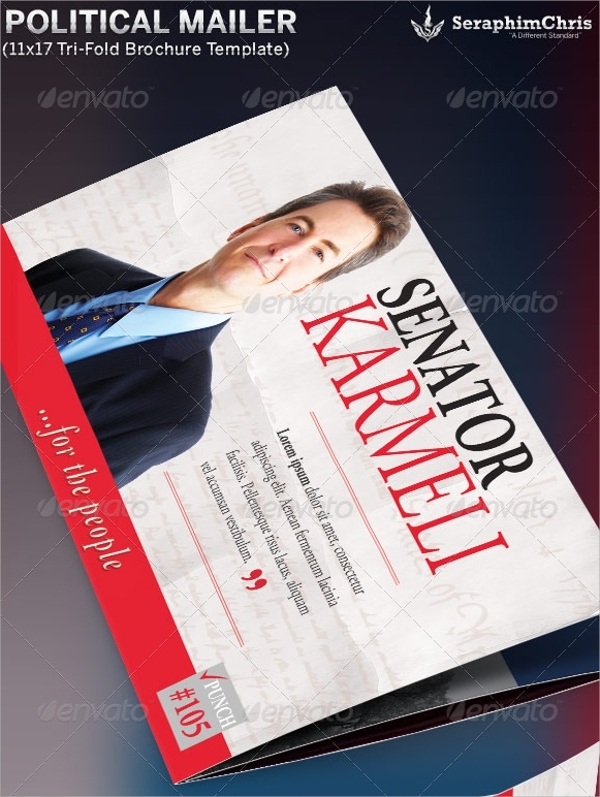 Very original, and smart without any exaggeration, and only the party logo and label with smart pictures of the candidate for introduction, and some smart and serious text; that is what makes this template a classy one built in white. 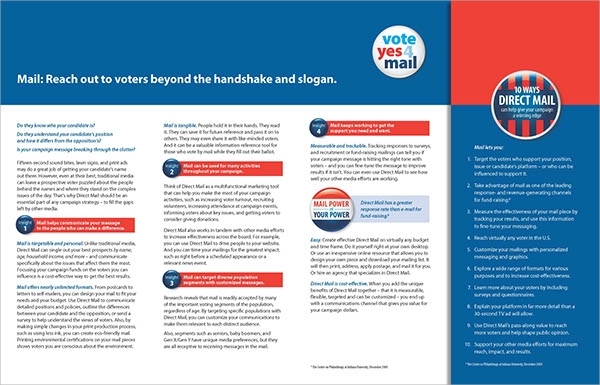 This political brochure is a 5 fold design, where you can tuck in as much textual content as you want. Made purely for textual content, and without focus on images etc, this one uses just a little magenta color on the front fold or page, and the rest is left off white to highlight text only. 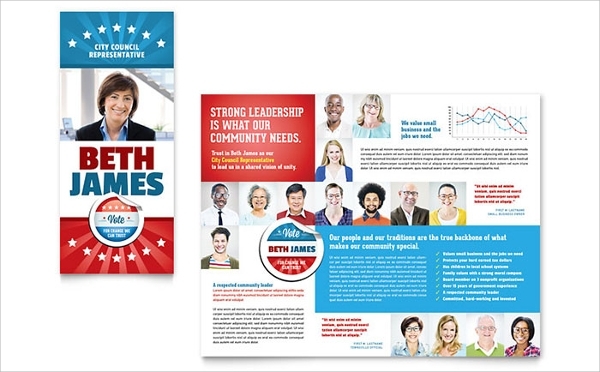 The political candidate brochure design is just apt to give highlight to political candidate’s old work, projects and career, and the design is quite colorful, so that individual block of information shared can extract the focus onto them. 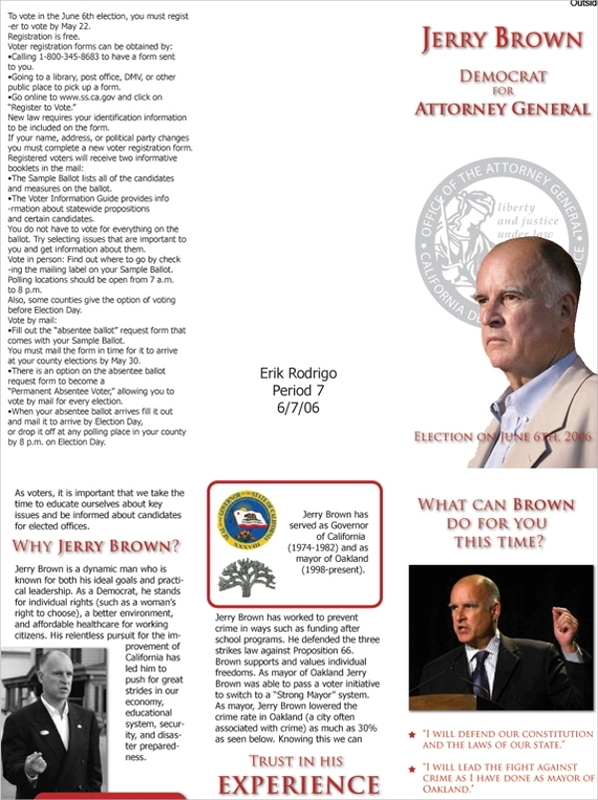 This is actually a flyer design, with the writings vote for the president. 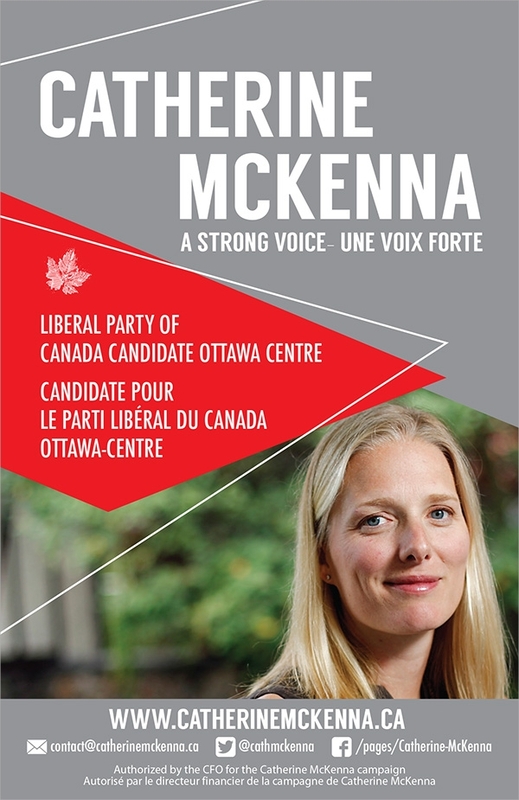 However you may change the words with the name of the candidate too. There is a place to show image and you can use this with simplicity. 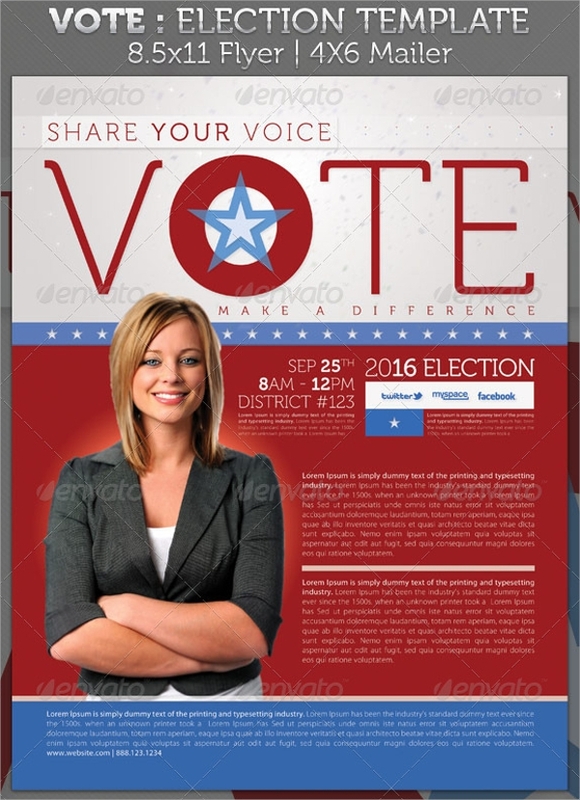 You can get great designs for you political campaign from these brochures. 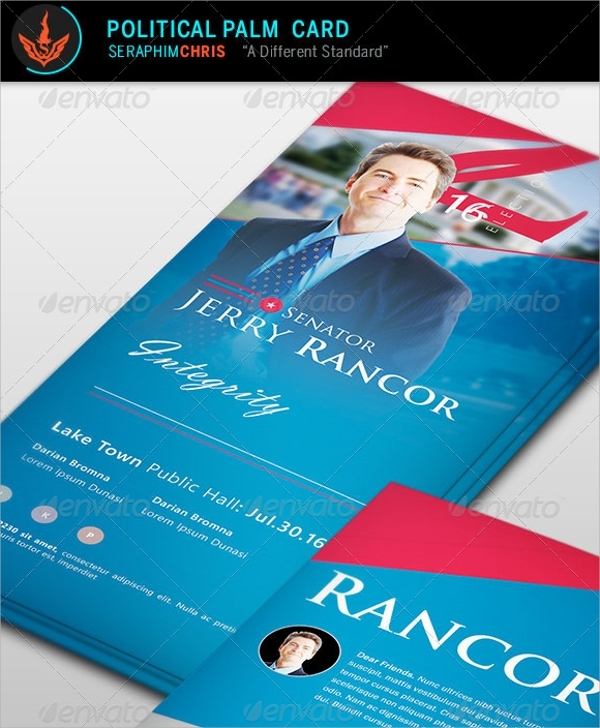 These brochures can help you create sensational news and image of you and the party in public. The better and classy way you use to represent your image, the better will be the public response.